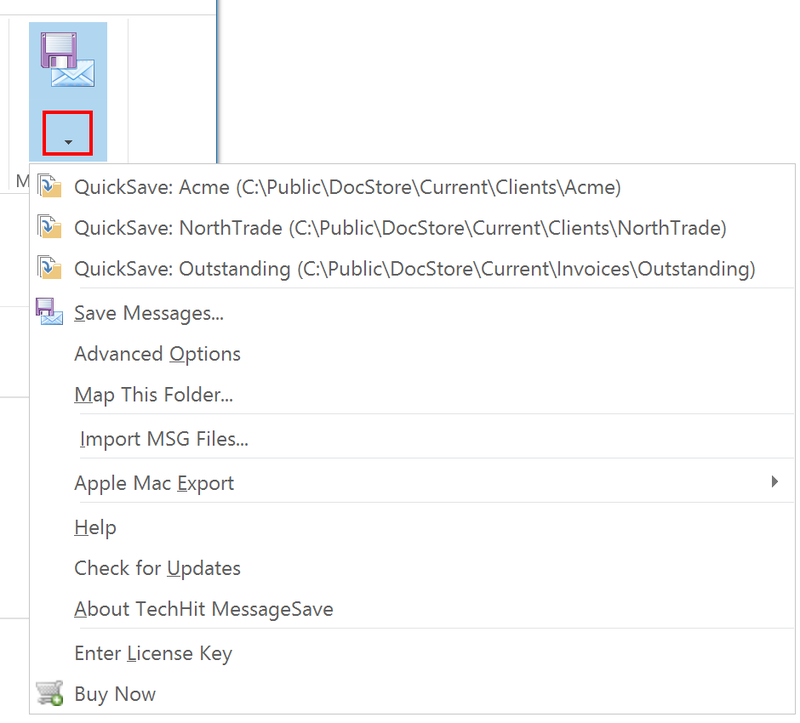 MessageSave user interface is represented by two buttons on the Outlook Ribbon. Click on the small triangle to see MessageSave drop-down with additional commands. One-click-save messages into the folder displayed on the command. Creates a mapping for the current Outlook folder and opens the Folder Mapping window to configure it. Removes the mapping for the current Outlook folder, if one exists. Opens the Import MSG Files Window. Opens the About window where you can find MessageSave version number and license key. Enter your license key into the product.